Excel Refrigeration and Bakery Equipment, India is a leader and specialist in the designing and manufacturing of dynamic and professional bakery equipment, commercial refrigerators, commercial kitchen equipment and bakery display counters with an uncompromising commitment to excellence and all the experience and creativity you need. 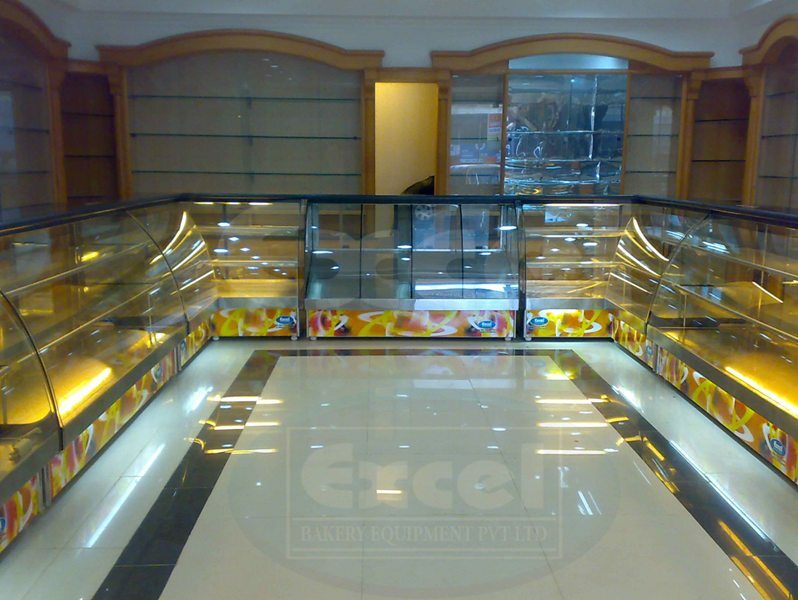 Excel is a company with a great set of bakery equipment and display counters. Excel also showcases a diversified product range of commercial refrigerators and catering equipment like deep freezers, chilling plants, beer keg coolers, display cabinets etc. We have a track record of impressive results which has made us the number one choice for all bakery equipment and refrigeration requirements. We are also one of the few bakery equipment suppliers in India who have the skill, knowledge, facilities and technology to manufacture high quality bakery equipment. Our engineering factory is stocked with new and imported bakery equipment and display counters as well as thousands of spare parts. Our highly skilled engineers are available throughout India and offer an efficient and reliable back-up service for all equipment supplied. Our talented in-house team of designers thrives on creating uniquely distinctive, high-impact branded bakery and refrigeration equipment to meet the needs of our customers. Our clients come from different segments like bakeries, restaurants, pubs, hotels, bars, industrial laboratories, flower merchants, medical laboratories etc. Excel bakery equipment India brings the world renowned Malaysian bakery equipment manufacturer Berjaya bakery equipment’s products to India. Being an authorized dealer for Berjaya products in India, Excel bakery equipment India provides you with Berjaya products at reasonable price with international quality and service. From our base in Bangalore we offer cost-effective delivery of bakery equipment, refrigeration equipment and display cabinets throughout India as well as overseas. Many of our customers are surprised at how cost-effectively we can deliver.We are confident you will be delighted with our products. If you are not fully satisfied however, simply send the equipment back undamaged within a reasonable time & we will replace them. We are delighted to be able to offer these services to our customers so please take a look around our website and feel free to contact our team with any queries you have.